In 2016 BIGBANG will be doing a series of [V.I.P] fan events in China, Japan and Asia. 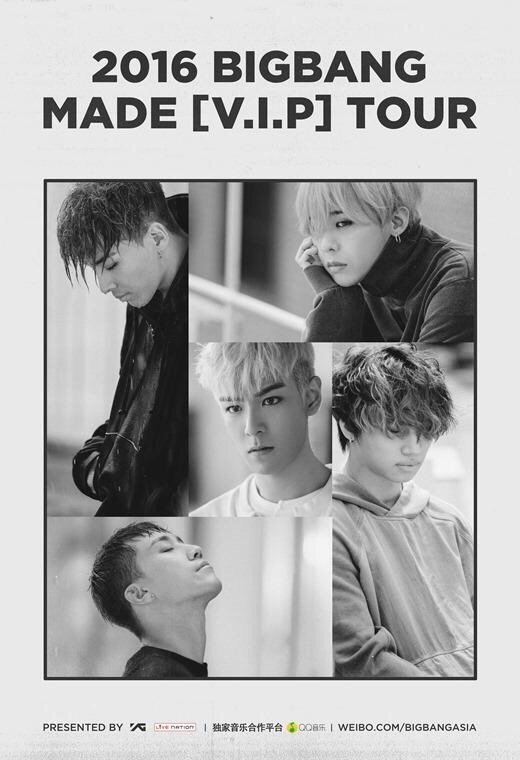 Similar to the BIGBANG 2015-2016 World Tour 'MADE' we will try and bring you an update on each stop of this special events tour. Please click on any of the links below to view photos and videos per event. The links will be added / updated on or just after show date. Please note that T.O.P will not be attending the September/October dates (apart from Macao and Hawaii) due to a schedule conflict.